Remember when lace-up sandals first came to the fore? 'Twas a good moment in the world of shoes. Here was a shoe that was as practical as it was statement-making—and those two key factors have kept them at the frontline of summer fashion for quite a few years in a row. 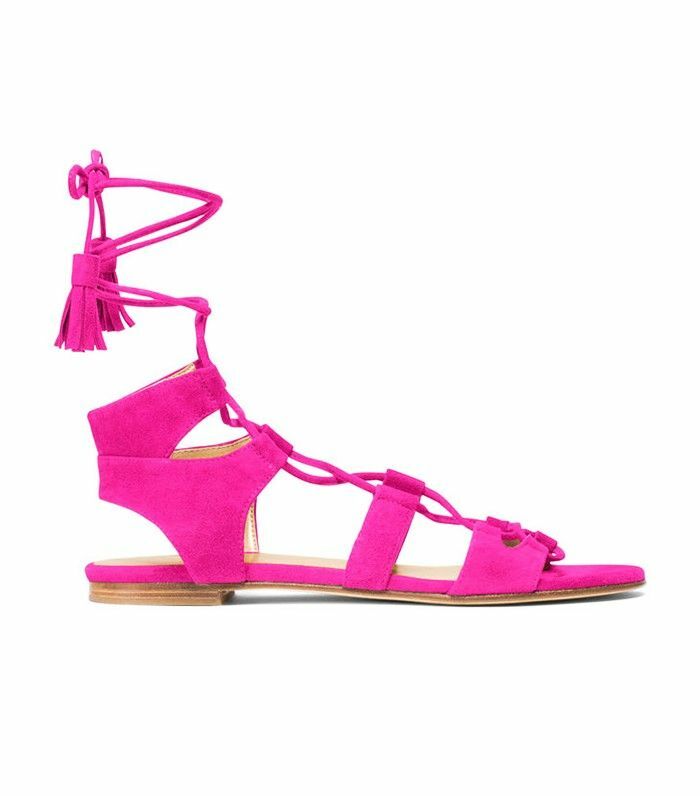 With their continued popularity, designers and stores have become ever more adventurous in their creations—poms and ribbons are part of a new boho breed (loved particularly by bloggers on holiday) but even Stuart Weiztman's hot pink Roman sandals feel like enough of an update on last year's classic tan or black suede. So scroll down celebrate #TuesdayShoesday with us! If you've not yet replenished your summer sandal collection—check out our edit of the best shoes for every budget. Opening Image: SorayaBakhtiar.com Outfit credit: Zayan coat; Zara sandals.